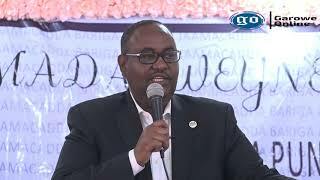 GAROWE, Puntland- Puntland Police forces chief, General Abdulqadir Shire Farah “Ereg” has talked about the reasons behind his suspension by the state Vice President on Sunday, Garowe Online reports. In a press conference held in the state capital of Garowe, Gen. Farah said he was sacked over the release of inmates from Garowe central Prison after they were not found any guilty, in accordance with the law. "Yesterday, I received a phone call from the Vice President, and asked me If I'm aware of 12 students released from Garowe Central Prison. I responded that the release was made in a legal way," Farah said. 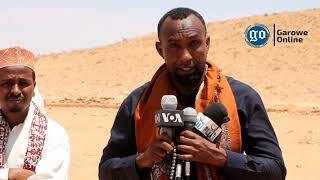 Continuing, Farah further said that he has been dismissed after defying an order from the Vice President of Puntland, Abdihakim Abdulahi Omar "Amay" to suspend city's Police boss for the students' release. "I told the Vice President to write a letter to fire the area Police chief, instead of a verbal way, but Amey rejected it and threatened me with suspension, and subsequently I was removed from office," he added. 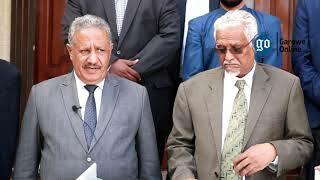 Farah stated that August 21, Muhiyadin arrested 13 persons, including 2 with Tuberculosis (TB), while the rest were students accused of being gang members. The defendants were freed after they were found not guilty of crime last Saturday, August 26 as officials from the court visited them at the prison, and requested clarification of the crimes against them. 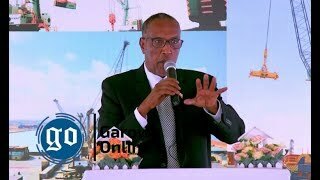 He pointed out that Puntland has a law and no one is above it. GO was the first media outlet to break the news of the sacking of the State's Police force commander on Monday by Vice President Amey. 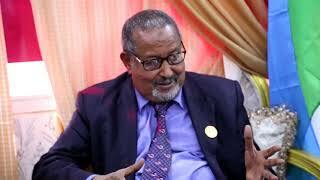 It is not the first time Puntland Vice President sacks top government officials as President Abdiweli Mohamed Ali "Gaas" is currently in Mecca, Saudi Arabia for the Hajj pilgrimage.